One of my favorite things to do on a Saturday is something I call a House Shuffle. 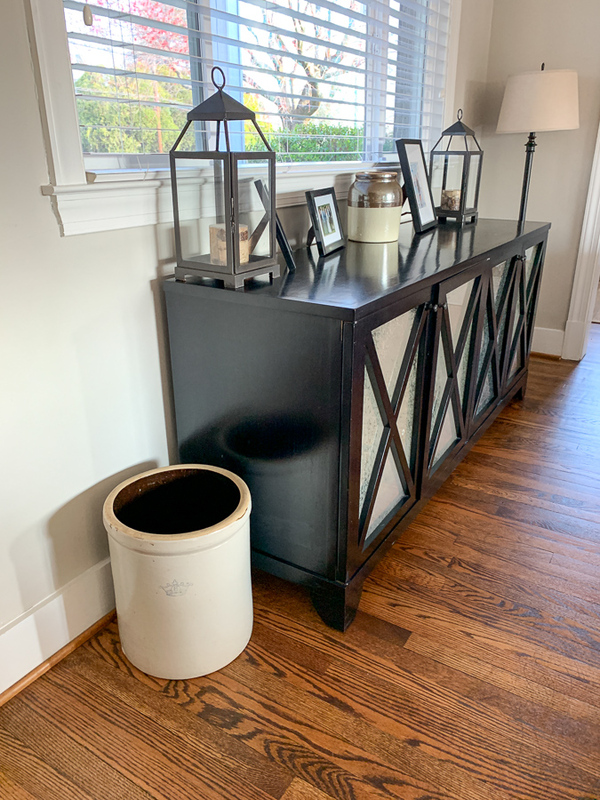 Really I just move decor from one room to another. Sometimes it’s the smallest tweaks that make me happy for weeks after! My mom gave me the two crocks you see – the big one on the floor and the small one on the buffet. The big one has been outside for a year, and the little one downstairs tucked away. I just moved them both to these new locations, and I feel like I have a little bit of country farmhouse in my living room now! I’ve also had this tray downstairs on the marble top table for ages. I couldn’t think of a good spot for it, as it’s really heavy and has some nails underneath that can scratch surfaces so I never wanted to put it on anything wood that it might get dragged across. I randomly carried it up to my room and it ended up in my closet holding my perfumes that were all just lined up against the wall. I think this is the perfect spot for it! Ethos Chocolate sent me some samples, and this one is my favorite. 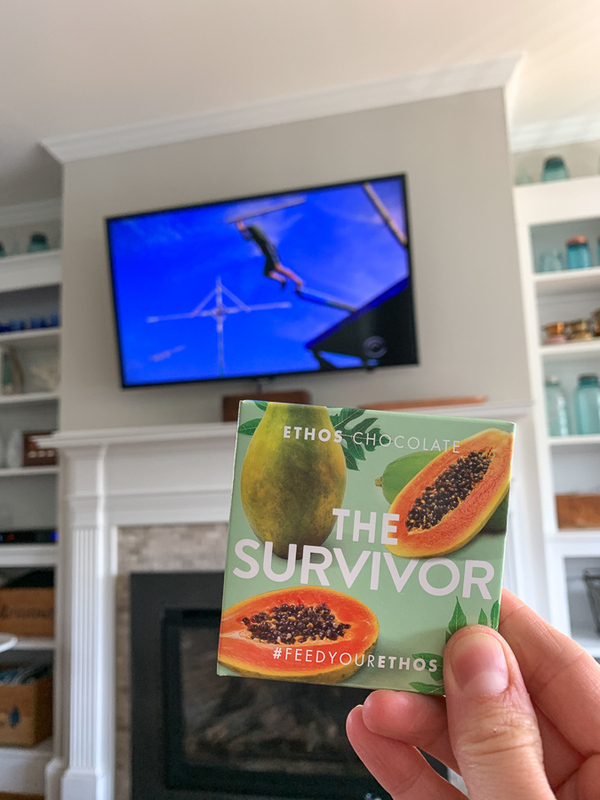 Ironically, I enjoyed it while watching Survivor! Fitting too because of the tropical fruit. My intern Emily is married to the owner of Caribe Juice, which makes some really delicious cold-pressed juices from tropical fruit sourced in the Dominican Republic. The Starfruit Limeade is my fav! 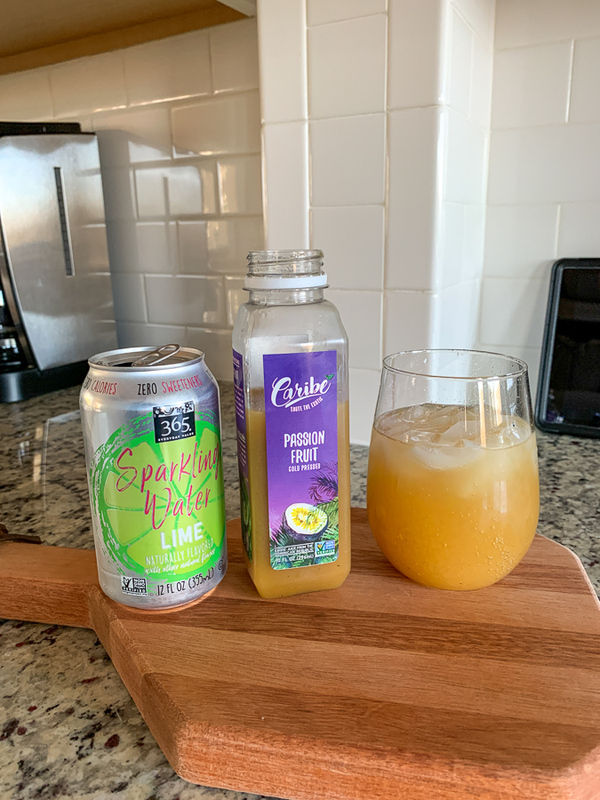 I’ve been mixing a little juice with seltzer on weeknights and it’s taken my mocktail game to a whole new level. To Black Out Or Sun Share? I do not yet have blackout curtains in Birch’s room. I know many people swear by them and ultimately if they were already installed that would be great. I’m still wondering if he really needs them. If he never has them, won’t he just get used to napping in daylight? I’m avoiding them because 1) the cost of curtains and rods 2) drilling the rods into plaster will make a huge mess 3) we already have blinds in there so it’s dim but not dark when they are closed. So my question is, do any of you NOT have blackout curtains and have great sleepers? We don’t have blackout shades for my 18 mo, but are about to put them up. He still naps fine, but since the time change, it’s light when he goes to bed and it’s taking him a long time to go to sleep. I think they sell some on amazon that just suction cup to the window and can hide behind your blinds! I want to be able to let in the light when nap is over and avoid something that keeps his room a cave all the time. So I’m torn between something nice/flexible (curtains) and a very inexpensive, temporary solution that goes behind our nice blinds. No sure what to do! 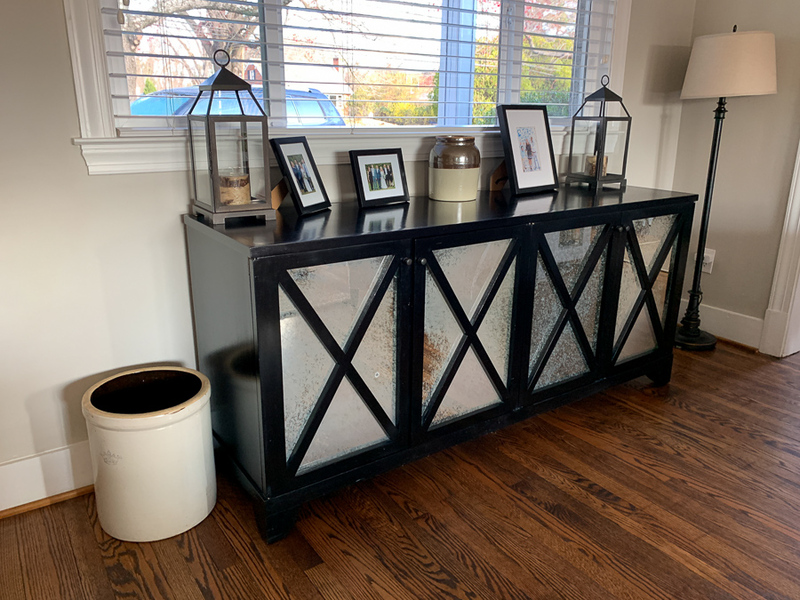 Hey Kath, I got these on Amazon and while they are ugly I do like them because they are temporary and I can take them with me – we are military and move frequently so I can’t buy new curtains for each and every home. My sleep consultant recommended them. Just throwing it out there in case you want to try! We do not have black out curtains and have great daytime nappers! We just close the blinds. I think what’s more important for sleep is developing consistent routines (as much as possible given life is different every day!) and structure around sleep habits. We rely on a lot of cues to induce sleepiness like reading or rocking before naps, napping around the same time each day, or having a special ritual before you leave the room (song, kisses etc). All things you already do, I’m sure! Yes this is all what I was hoping. Well Birch IS a Unicorn haha, but sometimes even Unicorns need props. Thanks for the rec! I love that these can be day or night! Yes! We just close the blinds, and our eighteen-month-old sleeps fine and has since he was about thirteen months (before that it was touch-and-go, but he has turned out to be a great napper!). I don’t think the curtains are necessary. We finally put blackout curtains in our 6 year old son’s room but that’s because of daylight savings and he goes to bed before it gets dark. Our 3 year old just has blinds. I do notice how much better they sleep in hotels with all the blackout curtains though. I got some for our son’s room and just waiting for my husband to come home to put them up. Routine is important. Just like it’s good to use white noise app but we still vacuum and make noise when they sleep so they get used to that too. 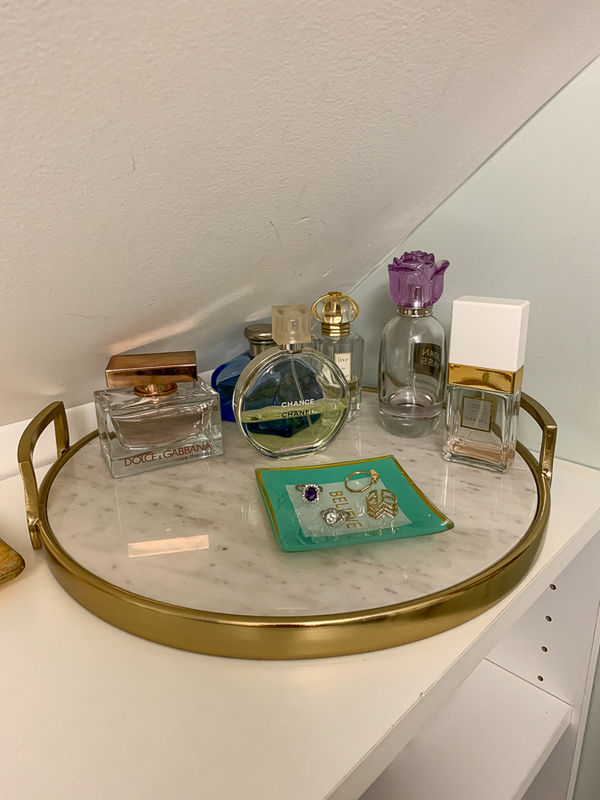 Love that tray with the perfume! We have some awesome (and cheap!) paper blackout blinds from Amazon. We’ve had the same one up in our nursery for about 3 years now (first for our daughter and now our son) and it still works great! It is accordian folded and has clips so it take just a few seconds to fold it up and clip it open when not in use. They cut down to size so they fit any window. They’re easy to cut to fit the width of your window and they’ve stayed up for years. This sounds crazy, but we ended up taping black trash bags on the window behind the curtains in our twin girls room. Originally we bought some blackout shades from Amazon, but someone recommended the trash bags and they work better. Our girls are 8 months and nap 2x a day (2 hours per nap) almost flawlessly. I have a 2.5 year old and 5.5 month old and we haven’t used black out curtains for either. We crank up the sound machine for both and now have two in the toddler’s room so she doesn’t hear the baby crying in the night, but we’ve always had natural light in both rooms and it hasn’t been a big deal. I think my big fear is that we’d travel somewhere and there wouldn’t be blackout curtains and we’d be totally screwed (we just bring the white noise with us). Also, the 2.5 year old sometimes falls asleep for naps and sometimes plays in her bed for 3 hours and at night sometimes she goes to sleep in 20 min or sometimes she hangs out in her bed for 2 hours and it’s the same whether she’s in a dark room or not. This was my fear — that they wouldn’t be able to sleep anywhere else. No blackouts here. We’ve always used white noise but never blackout curtains. Daytime naps are no problem and our 1.5 yo regularly goes to sleep before 7pm when it’s still light out. We just use regular blinds on the windows : ) I’d recommend not going the blackout curtain route unless you have to! Not what you are asking, but we have always used black out curtains and white noise and our kids have always been amazing nappers and sleepers. The 4.5 year old still naps almost daily, and even our 6 year old naps on the weekends. They also go to bed at 7:30pm. I do believe routine and consistency is important too, but the black out curtains just help SO much, especially bc one of our kid’s rooms gets a ton of afternoon and evening sun. We just use a tension rod behind the regular blinds and curtains and it works perfectly. In fact, in my sons room the “black out curtains” are really just a brown pillow case that I cut a hole in and stuck on a curtain rod, ha! I do know people who do not use black out curtains or blinds…but I feel like as kids get older and the summer sun is still bright so late, having the darkness really helps my kids settle right into sleep. We never did blackout curtains and our daughter was always a decent sleeper. I felt like blackout curtains was training her to need to be in a cave-like environment to sleep, and creating that environment is not always possible. Just my two cents. Hi Kath, I never used blackout shades or curtains for either one of my girls. This was never an issue, they slept without any problems. My biggest issue with the shades/curtains was that I didn’t want them to get used to it (not to mention I didn’t have the money for it). I wanted to be able to take them anywhere and have them be able to nap or sleep. I didn’t want the curtains/blinds or white noise to be a crutch. Like you, I used routines to be able to get them to learn how to go to sleep on their own. My girls are now 27 (and married) and almost 24, and they both are still great sleepers!! Come to think of it, I never had them myself growing up! We didn’t do blackout curtains because I didn’t want my son to get used to only sleeping in darkness. We wanted him to be able to adapt to sleeping at daycare, other peoples houses, or if we were on vacation. He’s been a very good sleeper and still naps well during the day with light coming into his room. Hi Kath, we have used blackout curtains for our little guy since he was born and he is 4 now and we still use them. I fell in love with these navy and white rugby stripe blackout curtains at pottery barn and although I tried to find a more cost effective alternative that I loved the look of, I couldn’t, so I splurged. I liked that they were curtains that could grow with him. We have converted his room to a big boy room and the curtains still look amazing. My plan is for him to have these curtains till he leaves for college so I’m planning to get my money’s worth! Ha! 🙂 I should also mention our little guys is a good napper and sleeper and I think the curtains help because his room gets so bright in the daytime. That being said, he also goes to daycare and has slept well at daycare too (and they don’t use blackout curtains). Thus, I don’t believe that having blackout curtains at home teaches kids to only sleep in total darkness (in my opinion), but I love both the look of the curtains we have and the blackout function aspect of them. My daughter sleeps much better in the dark but she’s always had a hard time with sleep What I did since I wanted a cheap and temporary solution was to tape together some white bristle board that’s just slightly larger than her window (reinforced with clear packing tape along the edges) and then attached it to the window sill using velcro/hook and loop tabs (from a craft or dollar store). One half of the tab along the edge of the bristle board and the other half on the window sill It’s flush to the window behind the curtains and I can remove it whenever I want. Works well for us and cost about $8 instead of the $50-100 for a custom sized blackout curtain. For our first two kids we didn’t use any blackout shades, then when we had twins we tried the Blackout Cordless Cellular Shades (exclusive at Home Depot, which they also cut to size for free in store for you as well well). We LOVE them and have now installed them in all the bedrooms!! They are inside mounted (we chose heavy duty doublesided sticky pads to mount ours instead of drilling) so when they are up you can still have all the natural window light. Since they are behind our white wood blinds, our windows still look beautiful when they are up and blinds are open, and they are hidden as well when they are down and our blinds are closed. 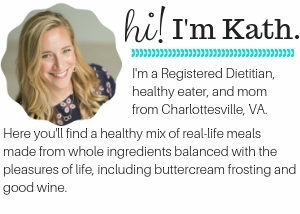 So highly recommend looking them up online and reading all the great reviews!! I think they would be perfect for your nursery too!! Are they easy to raise up and down? I really like that you can put them behind the regular ones. Yes, they are soooo easy to use and go up and down nicely!! Our kids all sleep easier, better and longer now. We also use sound machines too and feel it helps as well. We have a 16 month old and have never had or needed blackout curtains, and she’s not necessarily been a great sleeper regardless but the daylight has never been a problem. I don’t plan on blackouts for naps, but as said another user, as she’s getting older, I can see that possible the summer evening sunlight really making it harder for her to get into the “mood”. It’s already not very dim at her 7:30 bedtime with our regular curtains drawn, and it will be even brighter in a few more months. I think probably with Birch you’d be fine this first year – maybe as he gets older consider some blackouts for evening during the summer. We have blackouts in our bedroom and we just have a very small rod underneath/behind with a sheer curtain, and tie/clip back the main blackout curtain during the day. Works great. We have great sleepers and have never had black out shades! Even with the time change, we keep our routine the same and they know it’s bed time! 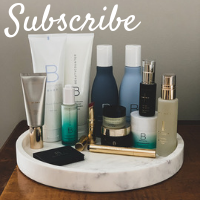 Thanks for your post on Aaptiv! I just got an elliptical in January, because making it to the gym with two kids is very challenging. Aaptiv is really great for staying focused – I love it so far! I just wanted to add that I think a lot of it has to do with your kid. They are all different – my daughter had black out shades and I don’t think it made a huge difference. She just takes a while to slow down and go to sleep. The only time it really helped was at 7 PM in the summer when it is still light out. My toddler doesn’t have shades and he loves sleeping in general. I think if they were in his room he would never wake up from a nap. I hope you have a good sleeper and don’t have to worry about it too much! Maybe he doesn’t need them! But if he does we love the suction cup Amazon basics version! Simple, cheap, and effective! No drilling required! I have 3 boys and never used black out curtains, just blinds and regular curtains. I’m sure blackout is great, but one downside is if your traveling or somewhere with blackout ability, I imagine your child maybe less adaptable. My kids are 6.5 and 4.5 and I love the blackout curtains not for naps, but for mornings and night. Its still bright as day this time of year at their bedtime, and it gets light before they are allowed up. 😀 I just hung them up, and hung nicer curtains over them. Love Survivor…I was kind of surprised with this weeks elimination! No blackout curtains and a great daytime napper at almost 1.5 years old! I was worried that daylight savings might affect bedtime since she’s going to bed when it’s still light out (7:30ish) but nope! We do not have blackout curtains in either of our kids’ rooms. Our oldest is 7 and he was always a good napper. Our youngest is 2 and she naps great too (most days – the days she doesn’t isn’t because it’s lighter in her room). We just have mini-blinds and shear curtains and keep them closed. Our yard light even shines into our son’s room and it has never bothered him. I always wondered if they’d sleep too good and too long during nap if it were super dark in their rooms. Like someone else said, I think routine is more key than darkness of the room. I just read somewhere else about rearranging the decor and prints you already have to make things feel new and fresh and think this is a great idea. Things sit in the same place for so long you kinda stop noticing them. Where did you purchase the bookcase next to the crib from ? It’s from JC Penney. It was my first sponsored post years and years ago! We did not do room darkening with M as an infant – didn’t want her to get so used to them that then when we traveled, napped in the car, etc. it was an issue. Didn’t seem to affect her either way so glad I didn’t spend the money and create the dependence. We initially didn’t do them with L as an infant BUT that’s because they shared a room and I was just following suit. But then with the other disturbances of “room sharing with a toddler & infant” we added in this stuff and it was AMAZING!!! It felt more temporary and like less damage AND we took it down in the winter so basically only used it in the summer because they were going to bed while the sun was out. I felt like it was the happy medium of still napping with light, still waking up to the sun part of the year but just fudging that whole going to bed 1.5 hours before sunset in the summer hiccup. I would be all about one of these temporary, inexpensive solutions EXCEPT his nursery is on our main floor and if his room is black, it makes our whole first floor so dark and dreary too. 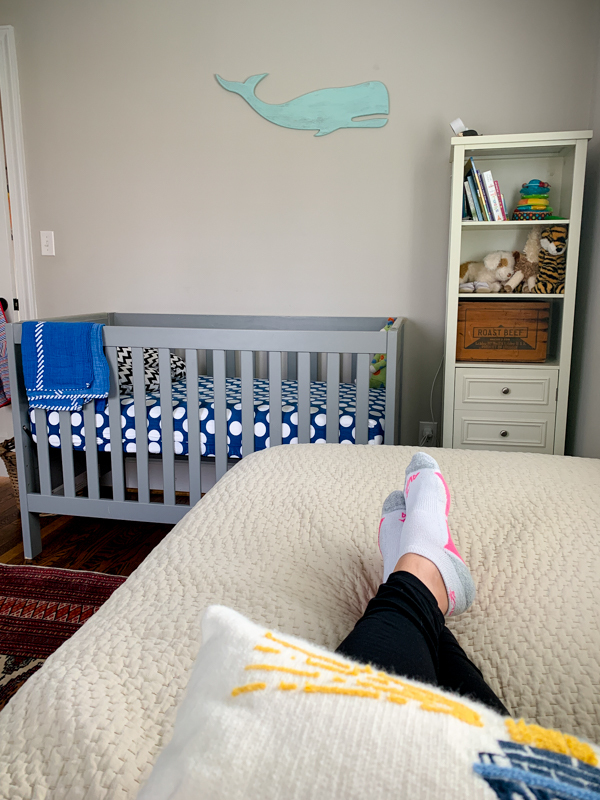 If the nursery was tucked away upstairs, I would feel differently (maybe) I just want to be able to really quickly open/close the blackout – whatever we get. I am thinking that I will stick with just the blinds for now. The room gets dim but not black. And just see how it goes. Maybe I won’t need blackout until he’s 3-4 or something. Don’t install drapery rods in your walls. We used this. We recently built a new home and used Kwik Hang. It is supported by the frame of the window. No holes the the walls. Buy whatever rod you want. Remove them, and no one sees holes in your wall. It was a game-changer. Oh wow. I hate drilling holes and these look so genius! Apologies if you have posted about this, but where is that grey crib from? Yep. I have a 11.5 month old who even has a skylight in his room and we never installed blinds/curtains. He just knows to nap in the daytime. However, now that it’s daylight savings time he was a bit confused as to why he can’t be ‘awake’ at dawn.